On the 17th & 18th of May I attended a 2 day fantastic basket making workshop taught by Eddie Glew. 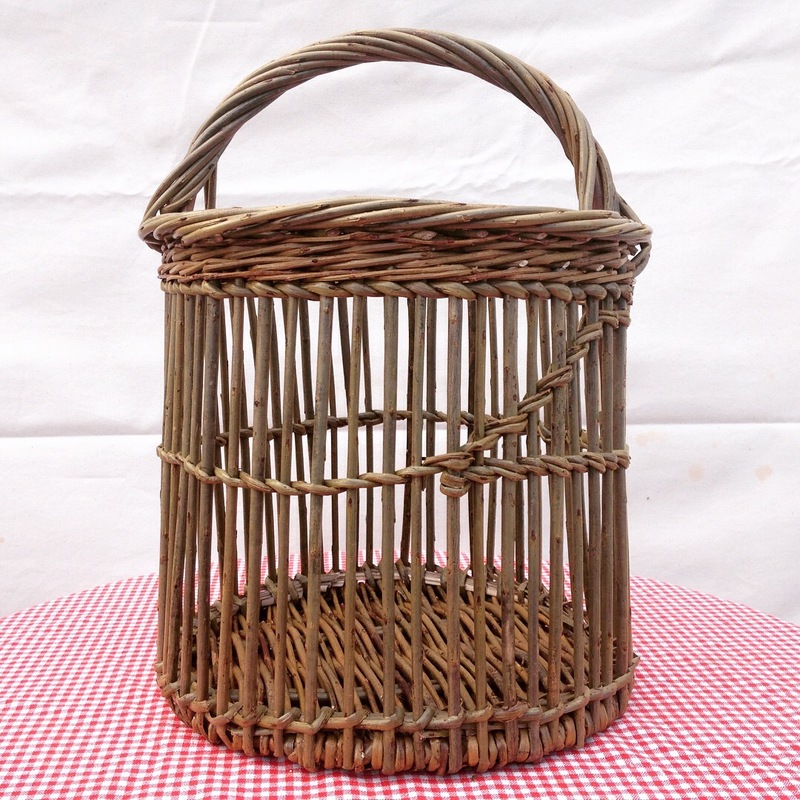 Organised by Basketmakers South West and held at Whiddon Down in Devon, about 10 of us used the willow variety Dicky Meadows to create a round shopper. Lots of scalloming and fitching ensued and I was really glad of Eddie’s very methodical, patient teaching, humour and group camaraderie. I finally had Eureka moments over good quality tools making all the difference and how to remove inner fears and achieve a decent 6 rod border! Over the years I have used the book ‘The Complete Book of Basketry Techniques’ by Sally Goymer and Sue Gabriel almost like a bible but being taught by Eddie Glew, (who learnt from Sally Goymer), has truly reinforced my theory that as much as it’s useful to learn from a book, nothing beats learning from a master craftsman. Having Eddie show scalloming, fitching and bordering techniques directly from the page, (so to speak!) was incredibly illuminating. After returning from this workshop I was able to use the extra willow that I had been given to immediately make another round shopper with confidence. Thank you so much to Basketmakers South West and Eddie Glew for enabling me to have this opportunity.